Lara Healy is The Barefoot Blogger. 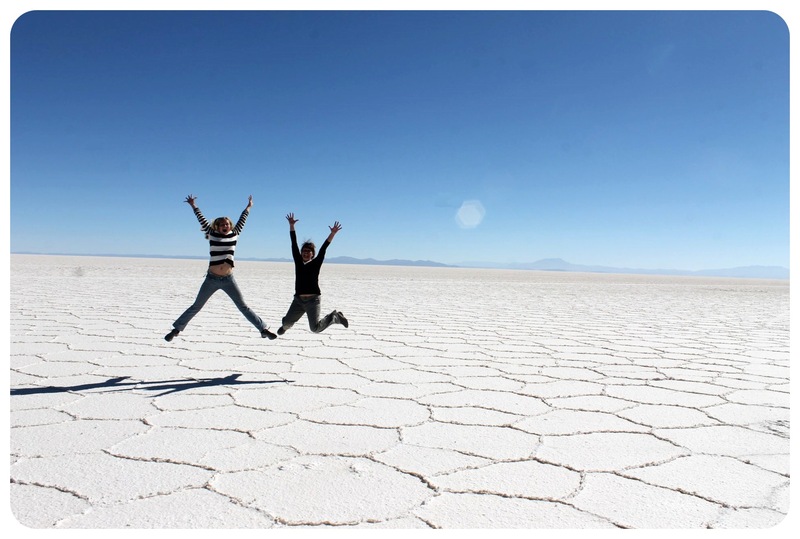 She left corporate America in October 2013 to travel the world and pursue her passions. 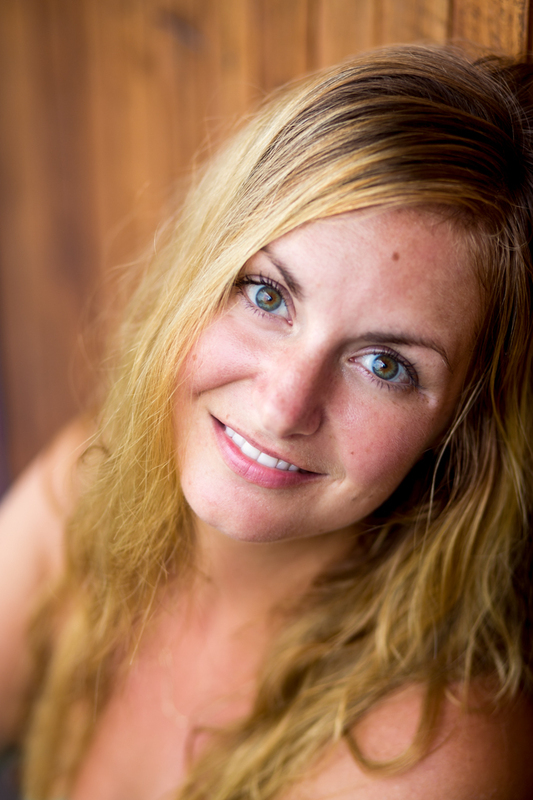 Her blog documents her journey through yoga, vegetarian cuisine, and international gardening. Currently, she writes on location from Blue Osa yoga retreat in Costa Rica, where she is also the volunteer gardener. 1. Honestly, do you find it hard to stay fit when traveling? If so, what is the biggest challenge for you? Not really. When I travel I usually shop at the local food markets, rather than eat in restaurants, so I have the ability to purchase food that is healthy and nutritious. For exercise, I to love run and I can do that practically anywhere. I also practice yoga 5-6 times per week, either by myself or at a studio. The biggest challenge of staying fit for me when I travel is finding time to workout. When I’m on the go I don’t have a standard routine, so I have to consciously carve out time each day to workout. 2. What do you think about vegetarian/vegan/raw food diets? Do you follow any of them? I’ve been a vegetarian for 13 years and I love it. I think that raw and vegan diets are great too and sometimes I will adopt a vegan or raw diet when I’m doing a cleanse or detox. While I really support vegetarian, vegan and raw diets I do think that each person needs to find a meal plan that works well with their individual body. 3. What sports do you practice on the road? It depends on where I am, but I always do yoga and run. If I’m near the ocean I try to swim. If I’m in the mountains I like to hike. I also enjoy biking and dancing or anything else that will get my body moving. 4. 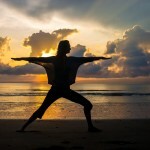 Do you think mental or spiritual side is also important when staying fit? Is meditation close to you? I think that being mindful is very important to staying fit. I notice that if I am really focusing on each moment, then I make healthier decisions in my life. I do have a personal meditation practice, however, it changes from day to day. Sometimes my meditation is a walk on the beach, some days it’s yoga, other days it is writing in my journal. It just depends on what kind of mood I’m in. But I think that any activity that is practiced with mindfulness can be a form of meditation. 5. 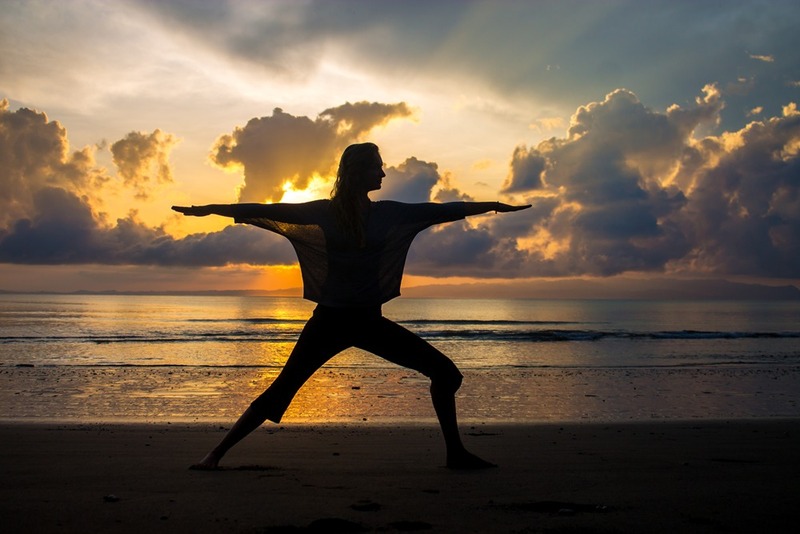 Your top 3 tips for other travelers to stay fit when traveling? 1. Prepare your own meals – when you rely on other people to cook your food it is easy to compromise what you really want for what is available. 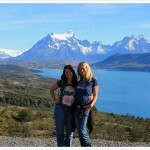 The GlobetrotterGirls are Dani and Jess, a German-American couple who set off to travel in 2010 and never looked back. The Girls run GlobetrotterGirls.com, a travel website sharing everything from inspiring travel stories to the hard-earned information and experience to help independent travelers plan and make the most of their own authentic adventures. 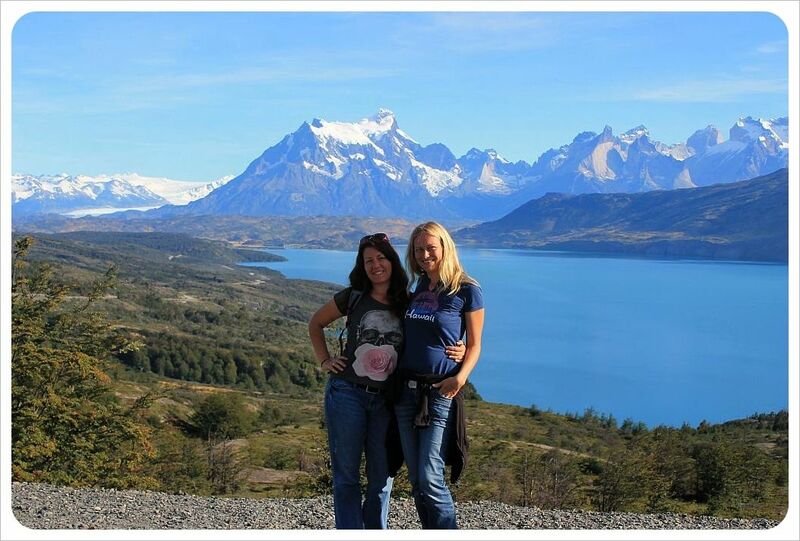 They also host the Break Free podcast, are the authors of The Ultimate Guide to Housesitting and have just launched their GlobetrotterGirls Getaways, hosting small groups of like-minded independent travelers to explore destinations around the world, together. We are both vegetarians – I have been since birth and Dani since she was 12 years old. Neither of us could imagine ourselves eating meat, despite how much easier this would be on the road. We don’t follow a vegan or raw diet, and I can imagine this would make travel all the more difficult. I am sensitive to gluten and avoiding bread and pasta is already a big enough challenge! This depends where we are traveling and what is available to us. Dani is a runner, so whenever we are somewhere where she feels comfortable, she throws her shoes on and takes off for an hour or so. But in small colonial towns with cobblestone roads, for example, running can be more difficult. I practice yoga wherever I am, and always have my mat with me. When we are somewhere with park space or doing a housesit where there is plenty of room indoors, we do Insanity whenever possible. This is a realization I’ve only had recently, but I think that the mental aspect of fitness is equally as important as the physical. Traveling has really lightened both our moods and our outlook on life, and that has helped tremendously in terms of our mental health – we have an appreciation for our lives now that went totally overlooked when focused on the day to day slog of our previous jobs, no matter how long we used to spend in the gym. When every day is something new and an adventure, it makes us feel like we are really living. Neither of us meditate – unless you count sitting still for 20 hours on bus rides! 1. Find a form of exercise you can do that you really enjoy – that doesn’t take up much space – you can’t carry much more equipment with you than shoes and a yoga mat, for example. 2. In terms of eating – do the best you can do. You can’t always eat right, plus where is the fun in that? You need to try the local foods and every once in a while pizza and other comfort food is necessary for the soul. But on a daily basis, make 80% of your food choices as healthy as possible, and leave the other 20% for the fun stuff. 3. Drink water. Lots of it. Between walking miles around a city, hiking or other outdoor adventures and of course the drinking that goes along with socializing and meeting people, making sure to drink enough water is really a key factor in maintaining health and wellness. To reduce plastic bottle waste, you can pickup a steripen which rids any local water of bacteria etc. 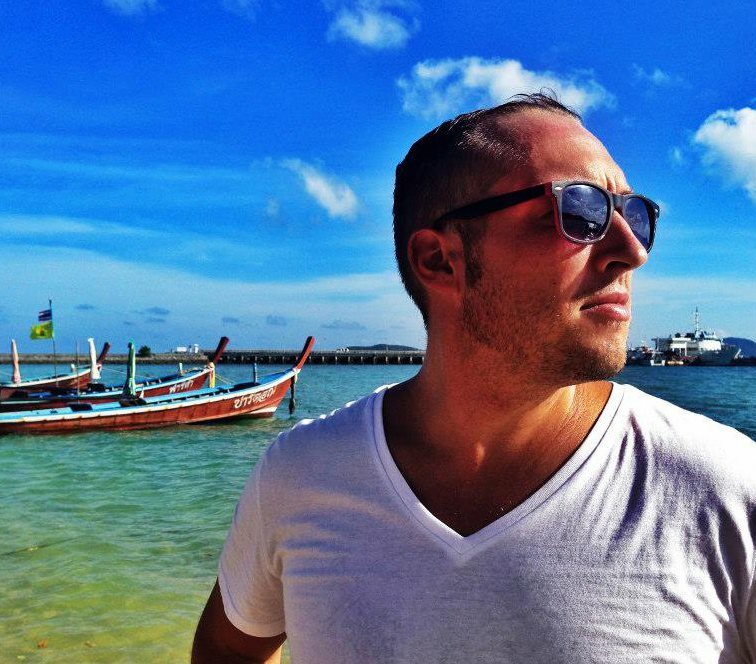 DJ Yabis runs one of the most fabulous European adventure blog, Dream Euro Trip. 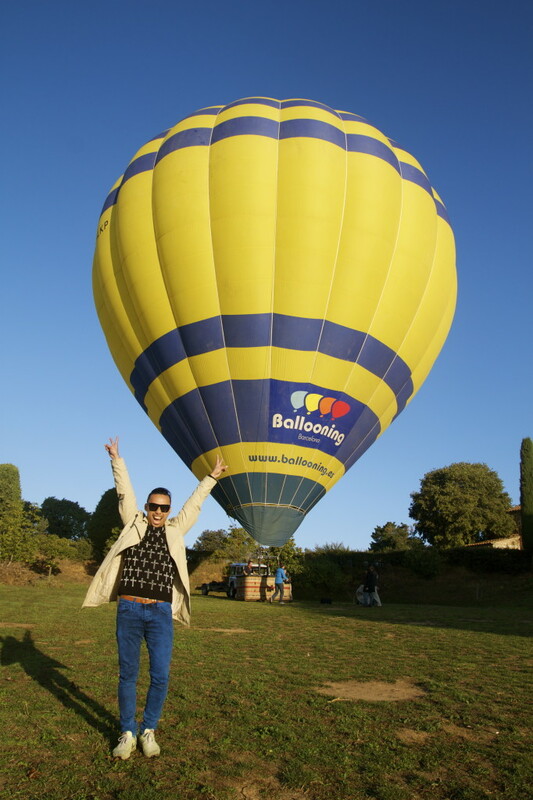 He is a self-proclaimed gourmand, music festival freak and loves traveling in style. He also helps his readers plan their dream eurotrips. Before, yes because I was generally lazy. But now I enjoy walking and do a lot of adventure activities when traveling so it sure beats seating at home. I think the biggest challenge is always a change in mindset. 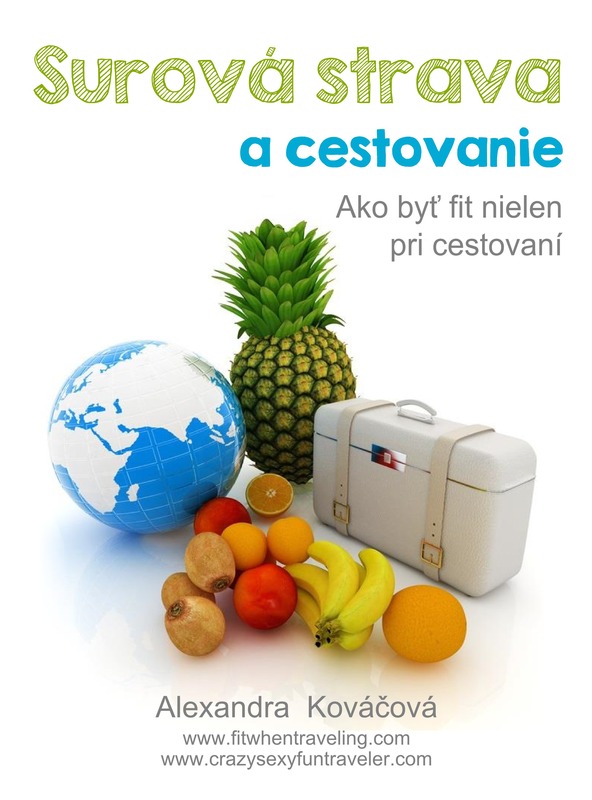 If you can change the way you see fitness, then you can definitely stay fit while traveling easily. Totally. As I mentioned in my first answer, your mindset will be your biggest challenge. I’ve never tried meditation though but would love to! 1. Walk if you can! 3. Easy on the alcohol! 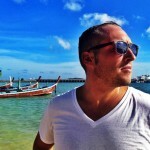 Jeff Johns is the co-founder and editor of Latitude 34 Travel Blog. Through 65 countries on 6 continents he has accumulated a seemingly endless stream of odd information, interesting stories and helpful tips and tricks to better travel. Jeff’s goal is to visit all 204 countries on Earth before he is too senile to remember them all. His true passions lay in honest visual storytelling, documentary filmmaking, Thai food and a good laugh. 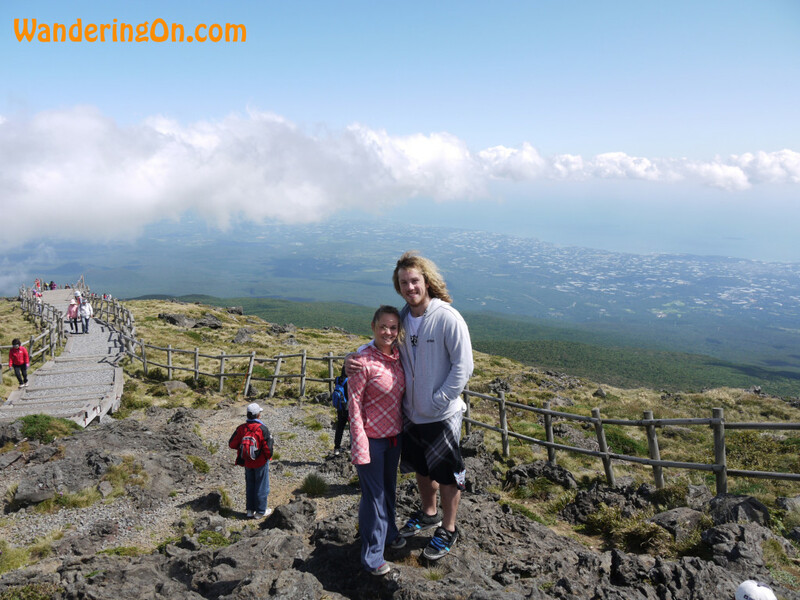 Together with his girlfriend Marina, they run Latitude 34 Travel Blog as a source of helpful information for those who love to travel or those who simply dream of it. If you’d like to get ahold of them, send them an email at hello@latitudethirtyfour.com and they’ll respond super fast! I always feel better when I have a good routine, and traveling is one of the best ways to ruin that! While traveling can be unpredictable, hectic and exhausting, it is possible to make your fitness a priority and make sure you feel healthy and energized during your whole holiday. The biggest challenge for me is finding the best time of day to work in a quick workout. Usually I opt for an early morning jog, which is the best time for me to workout – unless of course we are out late the night before! If running is not an option (but seriously, you can run anywhere), there are some easy in home workouts you don’t need anything but your own boy weight to complete. While I do not follow a vegetarian or vegan diet, some of the best foods I have eaten on the road have been vegetarian or vegan, such as in Nepal and India where most of the population does not eat meat. I think that the most important thing to staying healthy on the road, or at home, is to know your body, eat when you know you need and make sure that it is of high quality. I love playing basketball, but rarely am I able to find a basketball court while traveling. I stick to running, as you can really do it anywhere, and it is as easy as stepping outside. Running is great because it allows you to get some exercise and explore the surroundings around you. 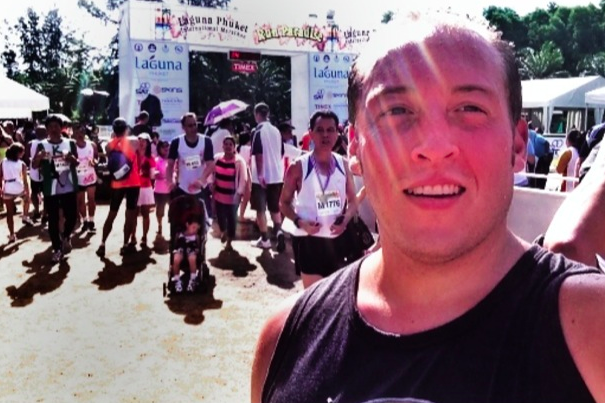 Before we moved to Phuket, I registered to run the Phuket International Half Marathon, which was a blast and helped me stick to my running routine during the first three months living abroad. Mental and spiritual strength is very important when staying fit, where you’ve got to put mind over matter. Especially while traveling, maintaining mentally strong is critical to staying fit. Plans easily change, your diet can go out of the window and it is really easy to throw it all out and loose your momentum. While I don’t meditate much, I do make certain that I spend portions of each day without technology. While we work online and it takes a lot of work to run Latitude 34, our travel blog, I have to take a time out away from the articles, posts, tweets and all that to breathe in the fresh air and realize where I am. For me, the most important things to help me stay fit on the road are to always bring my running shoes, to wake up early no matter what and to make sure I find yogurt wherever I am to start my day out with a healthy breakfast and help my tummy manage the change in diets. 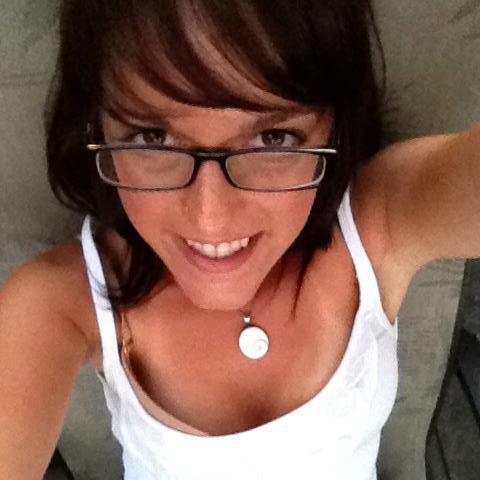 Jessica Festa is a full-time travel writer who is always up for an adventure. She enjoys getting lost in new cities and having experiences you don’t read about in guidebooks. Some of her favorite travel experiences have been teaching English in Thailand, trekking her way through South America, backpacking Europe solo, road tripping through Australia and doing orphanage work in Ghana. You can follow her adventures on her travel websites, Epicure & Culture and Jessie on a Journey. It depends on where I am. When I’m in a place where I have access to a lot of fresh, healthy foods I find it easier than, say, when I was in Peru and the food consisted of a lot of starches and multi-course meals. The biggest challenge for me is staying on a budget while still eating healthy. Many times the cheapest option — which is usually what I would like to go for when I’m backpacking — isn’t the healthiest option. Sometimes it’s worth it to spend a little extra to eat something healthier. I was a pescaterian for 10 years, although now I eat meat. I think these diets can be healthy when done correctly and with a varied diet; however, as someone who writes heavily about food I think it’s important for me to be able to try all kinds of dishes in the places I visit. For me, I feel best when I incorporate meats into my diet that are sustainably and morally farmed. Some of my biggest active passions – both home and on the road – are running, cycling, hiking and kayaking. When you’re in a city, cycling and walking can allow you to see more and really feel the beat of the city. It also helps you stay fit. Runseeing — or sightseeing while running — is another trend that can help you explore a city while staying fit. Additionally, getting outside of a city to hike or paddle is a great way to explore a more natural side of a destination while staying active. Absolutely! I try to meditate when possible, although it can be hard to fit in time to do this everyday. I’m working on it, though. This can be an excellent tool for helping you to evaluate your health and listen to the needs of your body without distraction. 1. Explore local culture in a more active way by taking classes that incorporate movement: dance classes, martial arts courses, horseback riding, sailing, walking tours, etc. Try to do something that really pertains to the destination, for example, samba classes in Brazil or karate in Okinawa, so you’re also getting a truly cultural experience. 2. Book an accommodation with a kitchen. This will allow you to purchase fresh, natural ingredients from local markets and cook your own healthy meals. 3. Travel with a Thera Band. These elastic workout bands take up essentially no space in your luggage and allow you to exercise almost any part of your body. This is a great tool for a workout you can do in your hotel room. 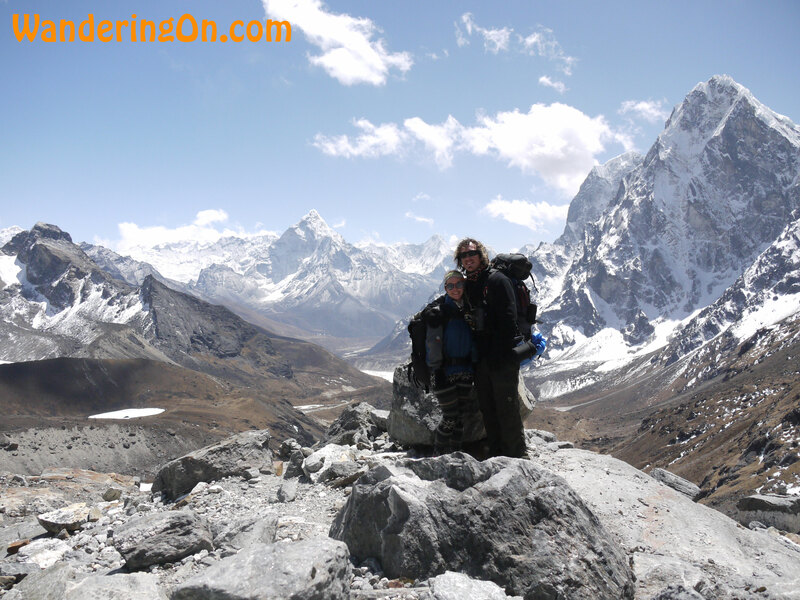 Brian and Noelle are an Irish couple set out to explore new places, have amazing adventures and live a life of travel! They have built their lives around the idea of visiting as many countries and experiencing as many different cultures as they can. 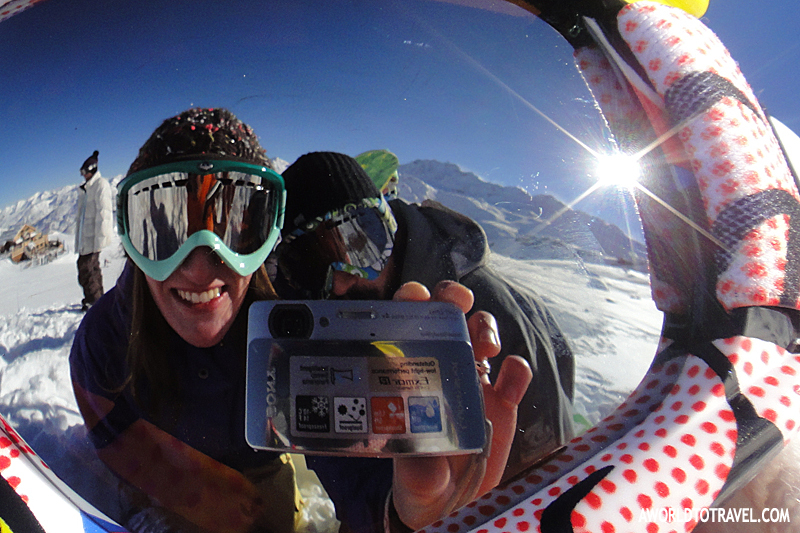 Through their website they share their travel stories, photos and tips with you as they continue wandering on. It is always a challenge to stay fit when travelling but if it is important to you, you can always find a way. When you’re travelling every day is different, one day you could be sightseeing in a city, the next day all day on a bus or a train and the next rafting or hiking somewhere. While this variety is what we love about travelling, it can also be one of the biggest challenges to exercising, you have no fixed routine and so you have to take your chances when they come. We have no problem with vegetarian or vegan diets but we don’t follow them. We think we could quite happily live without meat and have done for extended periods before, particularly in Nepal. There are power outages everyday and so refrigeration of meat can be an issue, to avoid any chance of getting sick we stuck to a mostly vegetarian diet. In that part of the world it’s really easy to eat vegetarian as a lot of the locals follow a vegetarian diet for religious reasons and the food is really good! We like to keep as active as we can when we travel. We love to go hiking which is a great workout, Brian surfs any chance he gets and Noelle practices yoga when she gets the opportunity. Just being on your feet all day, sightseeing, waking to view points, exploring a new place, it all helps with staying fit and healthy. If at all possible we’ll walk rather than taking a taxi or a bus, it keeps costs down and you see things you otherwise wouldn’t. Meditation is something we’ve never really gotten into, practicing yoga would be the closest thing we do in terms of a mental side to exercise. Getting out in the mountains and hiking is a great way to switch off and be in the moment, a kind of meditation in itself. 1. Be mindful of staying active. You don’t have to get up and run everyday but if an opportunity comes up to do a yoga class, go rafting, do a hike or whatever, then go for it. Working out doesn’t have to be a chore; it can be a lot of fun, especially when you’re travelling. 2. Eat healthy. Often when travelling on a budget, people will eat whatever local food is cheapest and a lot of the time this is deep fried, unhealthy rubbish food. Spend a little more on the healthier option and enjoy what you’re eating. Go to local markets to buy fruit and vegetables, they are usually super cheap and you can mix with the local people while you’re at it. 3. Drink plenty of water. Be extra mindful of this in hotter climates, when the weather is warmer you should drink even more to stay properly hydrated. Carry a reusable water bottle to save on money and do your bit for the environment too. 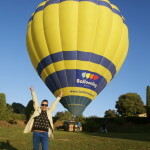 Agness Walewinder is a Polish travel blogger who has been travelling and living in different Asian countries since 2011. 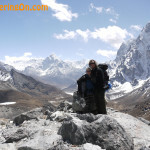 She is well known for travelling the world for less than $25 per day and she shares her tricks and tips with the readers of her blog called eTramping.com. Moreover, she is a food lover obsessed with Chinese cuisine, yoga passionate, life enthusiast and photography freak. I’m a real foodie. 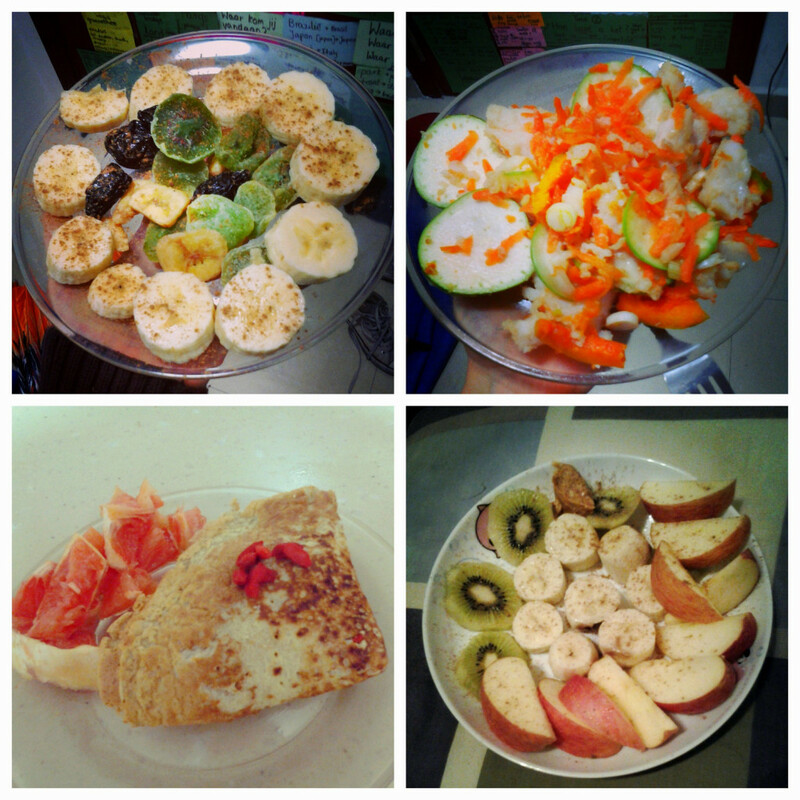 I love to eat, but at the same time I want to be healthy and fit. It’s hard to combine those two things especially when you travel so I must admit that being in a good shape on the road is difficult for me. I am not able to cook my favourite healthy meals on my own so I often need to rely on local food which is mostly deep-fried in China. There is not much time to do my daily workout either when I am busy with sightseeing and blogging. Thirdly and most importantly, there are so many temptations around (cakes and fatty food) and your friends screaming “C’mon! You gotta try it!” while licking their sticky fingers are not helping at all! However, there are always some local markets from where I can grab some fresh fruits and veggies and have them for my snack so it’s not too bad. Right now I’m working and living in Dongguan, Dalang in China. My job as an English teacher in one of Chinese kindergartens requires me to do a lot of jumping and hopping with my students so I burn a lot of calories every day and I can catch up with local sweets and delicacies without gaining any extra weight when travelling :). Although I don’t eat much meat weekly, I love raw fruits (bananas, mangoes, kiwi fruits) and veggies (chopped carrots with hummus and pumpkin sticks) I would probably never go 100% vegetarian/vegan or follow the raw diet. The reason being, I strongly believe that my body needs and craves different types of food, all in moderation of course, in order to function properly. I used to restrict myself from consuming carbs and ended up binging on food so I’ve learnt my lesson and I keep my current diet well-balanced. Fruits and veggies will be always my best friends and they play a major role in my busy daily schedule, but I can’t imagine my week without indulging in a freshly baked salmon or grilled chicken breasts. 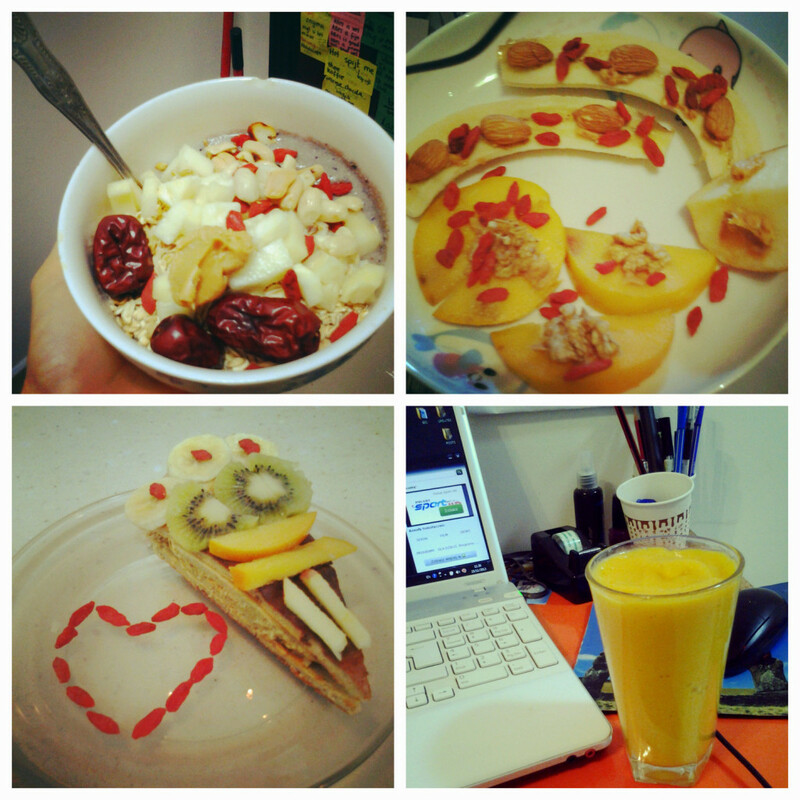 Collage 2 – Top left – porridge with dried fruits, nuts and cinnamon, Top right – Bananas with peanut butter and goji berries, Bottom left – gluten free fruit cake with goji berries, Bottom right – banana and mango smoothie. I am a runner and I go jogging very often (at least 4 times a week). That’s definitely the easiest cardio workout for me and most convenient when traveling. You just put your shorts and top on, turn on your mp3 player and start running – as simple as that. I also do a lot of yoga in the morning before having my breakfast. I stretch all my body and get physically and mentally ready for a busy day in Chinese kindergarten. It appears to boost immunity in recovering cancer patients. It helps you keep emotional balance. I’ve been practicing meditation for over a year and I’ve seen many benefits in my own life, such as an improvement in key relationships in my life, as well as my overall health improving. I have definitely more ideas for my blog and new posts on how to travel the world for less than $25. 1) Drink a lot of water and try to eat 5-6 small meals throughout the day. It’s gonna be much healthier and cheaper for you, believe me! 2) Stick to fresh fruits and veggies ( local fruits shakes are amazing), nuts and lean fish/meat. Eat as clean as possible, but don’t forget to treat yourself with some nice local delicacies. 3) Do at least 20 minutes of cardio every day and practice some yoga before going to sleep. Try to move as much as possible, so forget the cab, walk everywhere! Inma Gregorio runs Aworldtotravel.com , a travel blog where photography, music festivals, design, great outdoors and budget flashpacking get featured on a regular basis. Follow her travels on Facebook,Instagram, Twitter and YouTube! I’d say it’s not the easiest thing in the world but it’s far from being hard. When travelling, I usually can’t stay still. Cities or great outdoors are better discovered on foot and there are big chances of some adventure activities being included in my travels. I eat pretty much everything. Loving food as much I do, I’ve never followed any diets at all. Although, I have to say, since living with veggies and vegans; it’s something I’d love to give a try at some point. There are huge misconceptions about it! Swimming, hiking, biking and skating could be among the easiest and cheapest (many times free!) ones. Then, if I get lucky, I might get involved into kayaking, snowboarding or practicing any other adventure sport. I believe in the need of finding a balance. Creating your own luck may be very demanding sometimes and stress, fatigue and long hours are part of our daily life. That’s why keeping a good mental health is essential. About meditation, I’ve tried it before leaded by someone else but never practiced it on my own. Should I? 1. Be aware of your body and its needs. You need to eat and sleep as much as you do when you are home. Quality is also important and it tends to be overrated. Your health and safety should be your first priority when traveling. 2. If you feel you should practice a sport on top of the exercise you do when traveling long-term, do it! Pick something you can do everywhere (running, yoga, resistance band, swimming…) and develop a daily routine. 3. Stay away from bad habits and drink lots of water instead of caffeinated drinks and alcohol. You can’t stay fit properly if you are hangover! Most people reading this blog can relate to the struggle between wanting to exercise more often, but not being able to get to a gym regularly. There aren’t many products on the market that are travel friendly and can deliver an effective total body workout at an affordable price. Brent Kruithof was a Certified Public Accountant who spent late nights doing audits in his cubicle and traveled frequently for both work and pleasure. He also had a young family and social commits that kept him from getting to the gym regularly. Brent faced the common problem of trying to stay fit and living a busy life that often took him on the road. Not being able to find a solution on the market, Brent took matters into his own hands by developing a product called the FLYUP. The FLYUP is a set of two pushup handles that slide easily across surfaces like carpet, wood floors, tile floors, gymnasium floors, rugs, laminate, and more. The idea is based on body weight resistance and slide training to do both functional movements (multiple muscles contracting at once) and isometric movements (single muscle contraction). The result is a total body workout device that is about the size of a book, and can be used for dozens of exercises for people of most ages and fitness levels. Brent developed the product for his own personal use, but after positive feedback from friends and family, he decided to leave public accounting and turn the FLYUP into a full-time business. After assembling a team, he has launched his sales through Kickstarter (http://kck.st/1gHDofb) and has experienced more great feedback. 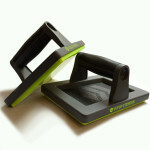 The Kickstarter campaign reached the funding goal in about 10 days and still has 3 and half weeks to sell the FLYUP. If you’ve been looking for a training device that gives you a great workout when you are traveling, the FLYUP is the answer. 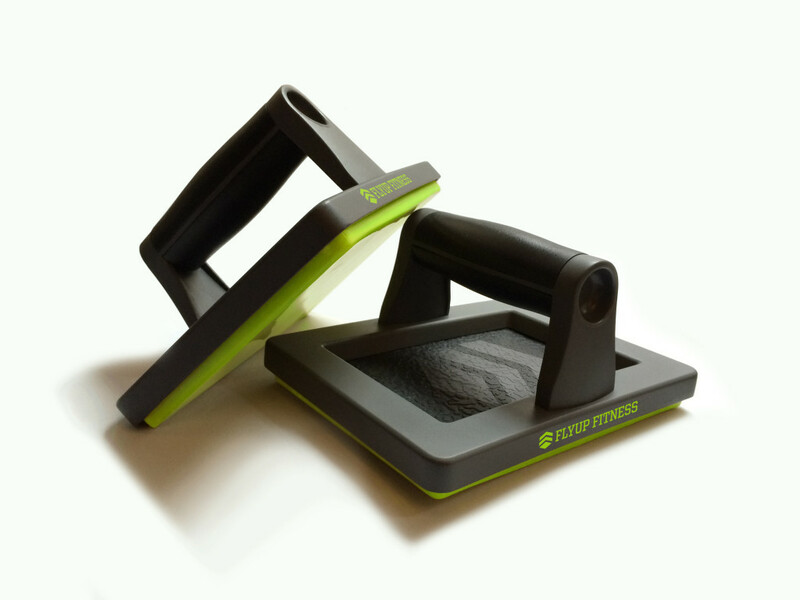 This compact piece of equipment will deliver a great workout wherever you take it. Check out the video too FUF Kickstarter. Those who know me remember I am a huge chocolate freak and also Mexican cuisine lover. Since I changed my diet to raw vegan back in July 2013, I did not want to say no to neither of the above. The good news is I do not have to. I found the best replacements ever. And most of all, they are both raw vegan choices and even tastier than the original ones. 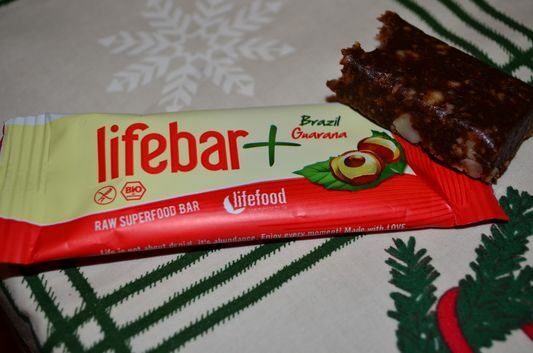 I tried different Lifebar energy bars already, such as coconut lifebar (made of 17% coconut, virgin coconut oil, dates, almonds and raw kesu nuts), or guarana lifebar (made of dates, Brazil nuts, almonds, virgin coconut oil, 4% guarana powder and vanilla powder) and some other flavours are still waiting for me there on my shelf. 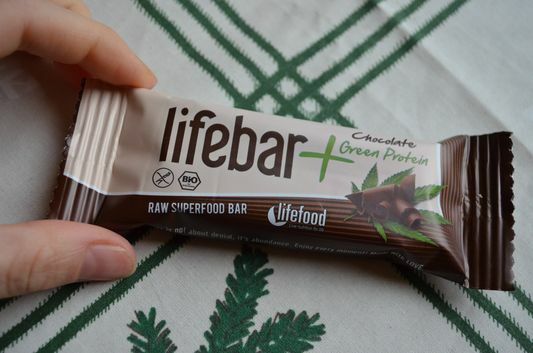 My favorite one so far is chocolate with hemp seeds in the dark brown and green package. And how about my love for Mexican cuisine? I can still make guacamole – just smash avocado, with fresh lemon juice, tomatoes and himalayan salt. Easy and tasty. 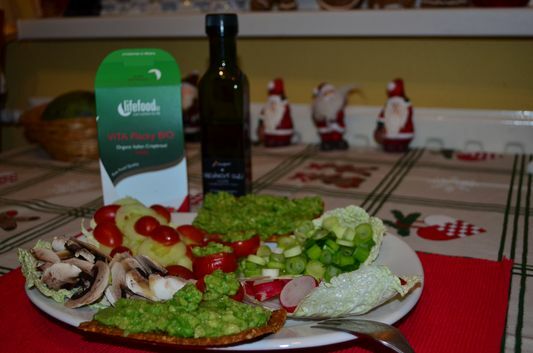 Instead of unhealthy tortillas now I eat Lifefood crispbread which is handmade and slowly dehydrated at low temperature below 42 Celsius degrees to keep all the nutritional properties. The last time I tried the Italian crispbread made of herbs, flax seeds, Brazil nuts, carrots, sundried tomatoes, garlic, onion, buckwheat and basil. Yummy! The crispbread does not contain gluten, conservants, aromas, added sugar, soya. Basically 100% healthy. 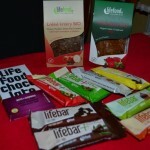 Lifefood products are sold in more countries around the world. 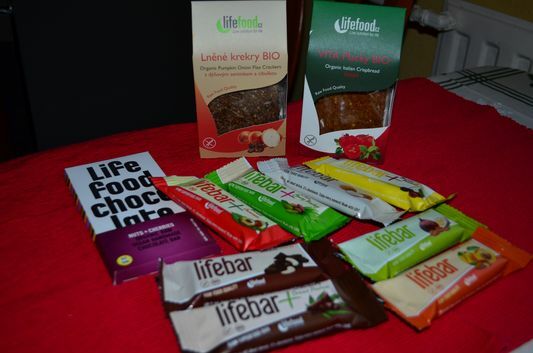 Check out Lifefood in Czech Republic where they first originated, Happylife in Slovakia or other International Distributors of Lifefood.